Mod adds you some small decoration things. This items can be used for building houses and maps. 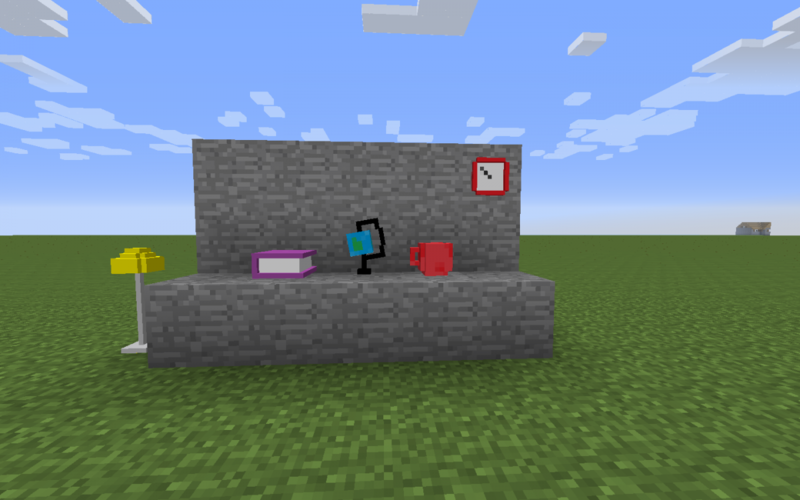 Mod adds clocks, cups, books and more! Play, have fun and enjoy it! V. 1.0 : First Version. 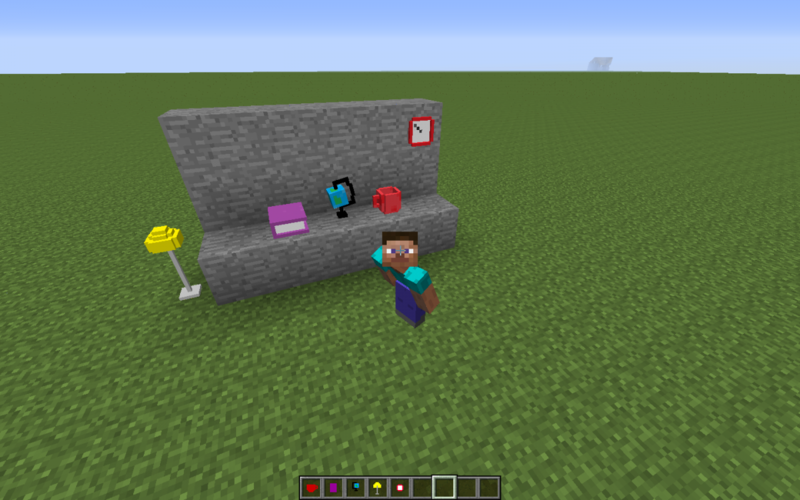 Added first items.